Summer is officially here and London is sizzling in the heat. 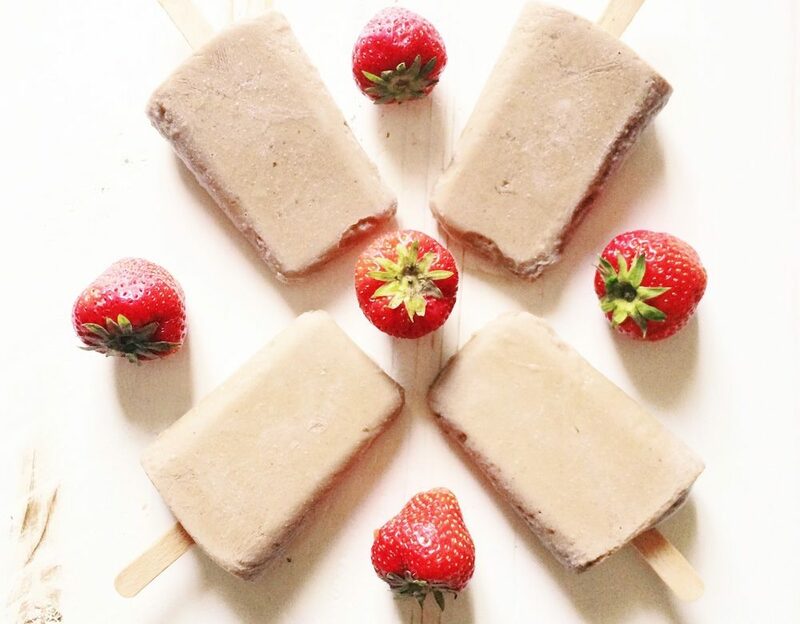 So my sister and I decided to create these creamy, delicious and refreshing chocolate ice lollies. A very simple and yummy recipe we hope you will enjoy during the long beautiful summer days! If you are making lots of ice lollies just double the ingredients. If you are making these for children do not include the protein powder. Peel the banana and remove the stones from the dates and place all the ingredients in the blender until smooth. Pour into the moulds and place in the freezer. After 30 minutes you can insert the sticks in. The lollies should be ready in 5 hours. Once you are ready to eat them take them put of the freezer and enjoy!